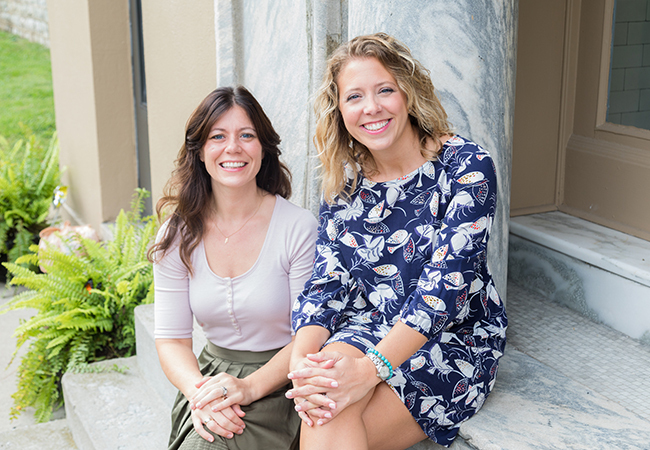 Who better than our two event planning experts to fill us in on experiencing our city’s special season to the fullest? Here is their short list of can’t-miss events and destinations. While the race may only last two minutes, all locals know that Derby is a full-on season. However, many of us have gotten stuck in a rut. In fact, we sometimes hear jaded locals say they avoid the track at all cost. So, to help you embrace the Derby and all the festivities that swirl around it, we thought it might be fun to think about Derby like a tourist. If only we could all just loosen up, get out of our comfort zone and rediscover the event that makes Louisville so darn special. No matter where you’re from, let’s all pretend to be a tourist and rediscover the magic of Derby Season from the food, to the parties, and all the track details in between. 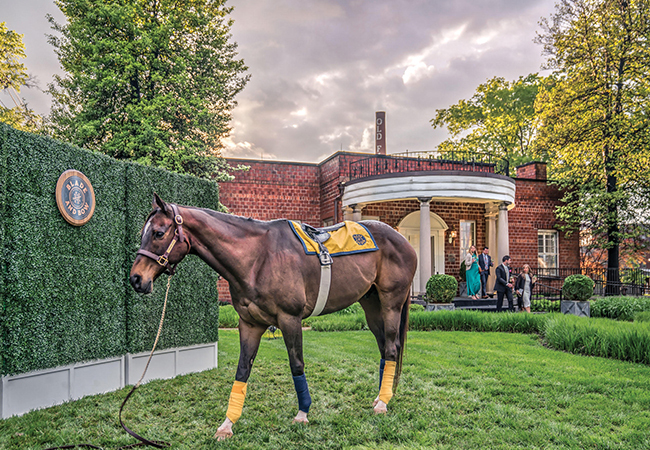 Here, we share some of our personal favorite events and experiences that help us rediscover the magic of Derby year after year after year. Whether you need a hotel room, or just want to be a hometown tourist, Louisville’s hotels are hotspots during Derby week. Hotel bars provide some of the best people watching and gathering places. We have picked our favorite three for you to try out this Derby Season. AC Hotel: NULU’s newest hip boutique hotel has it all. Beautiful rooms, proximity to critically acclaimed NULU restaurants, and a huge comfortable street level bar. 21C: The original 21C Hotel (of which there are now eight) is in a class all its own and shows off Louisville’s cool artistic vibe. Wander through the galleries, eat at Proof on Main, or just order a fabulous drink in the bar, none of the views will disappoint. The Brown: No trip to Louisville is complete without visiting the Brown, and during Derby the pomp and circumstance of this historic hotel, mixed with the Louisville staples which it provides make it the perfect spot to pretend to be a tourist. Enjoy a drink in the Jazz Bar, eat a Hot Brown and the original Kern’s Kitchen Derby Pie and relax in the luxurious lobby with the who’s who of Derby red carpets. 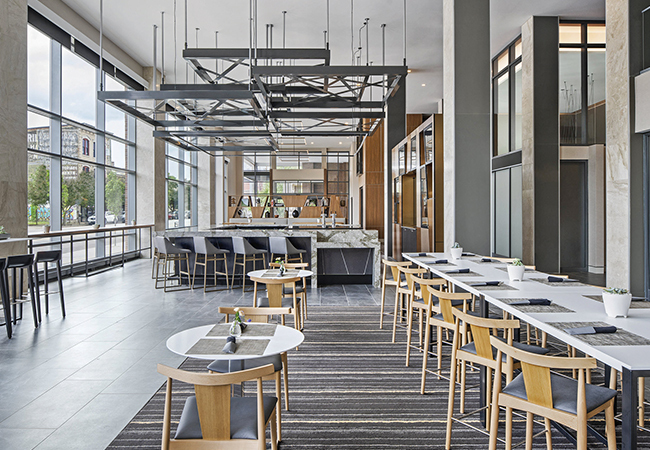 The Omni: This sparkling new hotel with its bourbon-chic decor brings a sophisticated, full service option to the downtown hotel scene. Did you know Louisville was just named one of the best food cities in the South? Make the most of your Derby week with an as-seen-on-TV tour of the city’s best restaurants. Wagner’s Pharmacy: Eat breakfast with the very jockeys, trainers and owners you will be cheering for. Feast: When Top Chef rolled into town, the judges themselves posted photos enjoying the barbecue at this local favorite all over their social media. Make sure to allow plenty of time; at lunchtime it’s not unusual to see the line wrap out the door and around the corner. Decca: Speaking of Top Chef don’t miss the home of Chef Annie Pettry. Milkwood and 610 Magnolia: Again, thanks to Top Chef, Chef Edward Lee has become a bit of a celebrity, but don’t think it’s not well deserved. When you plan your time at the track, don’t just put all your eggs in one basket. There is more to Churchill Downs than Derby. While Saturday is the main event, Thursday and Friday are popular days to visit as well. Thursday, Thurby, belongs to the locals, and Friday, Oaks Day, is the day the track gives back by celebrating breast cancer survivors. Dress appropriately for each day; keep Thursday a little more casual, celebrate survivors and wear pink on Friday, but pull out the stops on Saturday. To make the most of your Derby Day buy the tip sheets to learn from the pros, brush up on the lyrics to “My Old Kentucky Home” and buy the Mint Julep, we promise you will treasure the commemorative glass. And don’t forget to pack smart with food in clear containers, no glass of any kind, and leave the selfie sticks at home. For a full list of dos and don’ts, check out the official Kentucky Derby website (kentuckyderby.com). Stitzel Weller Affair: This one-of-a-kind event has it all; amazing food, amazing Blade and Bow Bourbon and ends with an intimate concert. This year’s event features Brooks Reitz of Jack Rudy Cocktails and entertainment by Mt. Joy. The Trifecta: Held at The KFC Yum! Center, this year’s event features entertainment by Usher and supports local charities including the West End School. Did we mention Usher? Barnstable Brown Gala: One of the longest party traditions in Louisville, crowds often line the quiet Highlands neighborhood street to watch celebrities arrive and support diabetes research and treatment. Unbridled Eve: Supporting Blessings in a Backpack, this year’s event features Dennis Quaid, Sir Mix-A-Lot and local favorites Linkin Bridge and The Louisville Crashers in the Grand Ballroom at the Galt House Hotel. Take your hometown tourist status to the next level and learn the history behind the best two minutes in sports and all that goes with it. The Kentucky Derby Museum: The best place to brush up on your Derby knowledge is at none other than The Kentucky Derby Museum. Mint Julep Tours: With tours that include distilleries and horse parks alike, Mint Julep Tours has something for everyone. Dawn at the Downs: Watch the contenders’ morning workouts as the sun rises, while enjoying the twin spires and breakfast. With a week’s worth of mornings to choose from, this is truly something to check off the bucket list.